Is The Green Reebok ZR10 Exercise Bike Too Gimmicky? 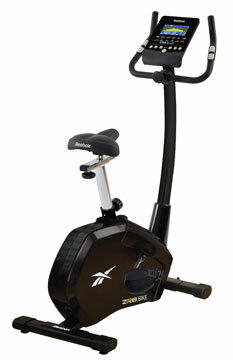 The sales photos of the Reebok ZR10 Exercise Bike make it look much like many other exercise bikes in the range. It has the typical Reebok style with the all-black design, strong branding and sturdy components. There are nice little blue accents on the adjustment knobs for the resistance and saddle height, as well as the transport wheels. It looks fairly typical at first. However, there is actually a hidden selling point to this model. 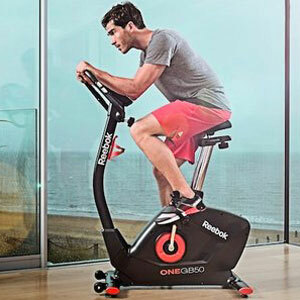 The question is, does this gym bike become too gimmicky as a result? Is The High Resistance Reebok ZR8 Exercise Bike Too Tough To Handle? This product is now discontinued. You can find a newer model here. 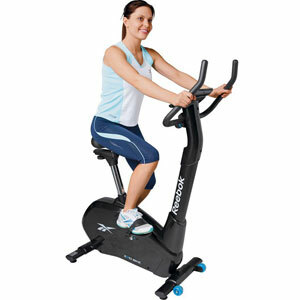 The name Reebok is one that many sports enthusiasts turn to as a sign of quality and functionality and this is part of the reason for the initial appeal of the Reebok ZR8 Exercise Bike. 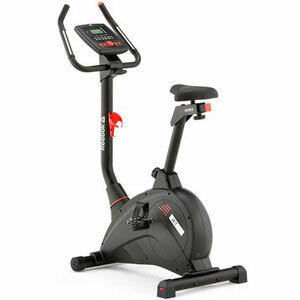 This gym bike looks like a high-end machine with its design, LCD computer display and 12 pre-set training programmes. It has a number of additional features that make it interesting to home gym users, like the promise of an adjustable frame and the transport wheels. Are users impressed with this Reebok offering and is it as functional and user-friendly as hoped?